Get some sleek and sporty style suitable for any look with the SKECHERS Ultra Flex - New Season shoe. 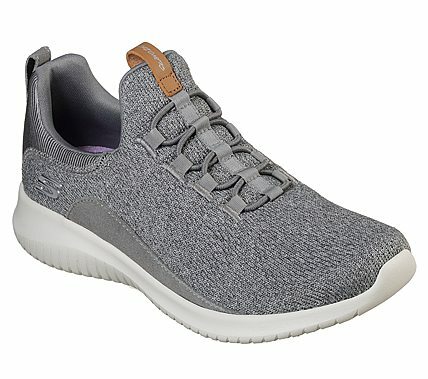 Sporty knit mesh fabric and smooth leather upper in a slip on bungee laced sporty comfort walking and training sneaker with interwoven designs. Air Cooled Memory Foam insole, highly flexible comfort midsole.